When Madeleine L'Engle's A Wrinkle in Time was published in 1962, the science fiction classic defied norms. Now, in 2016, it's about to do so again. After being heavily pursued by Disney (can't blame them), Ava DuVernay will direct A Wrinkle in Time as an adaptation of the fantasy novel heads to the big screen. Deadline reports that the Newbery Medal-winning fantasy novel already has a script — penned by writer and co-director of Frozen (ever heard of it? ), Jennifer Lee. Having not one, but two women at the helm of this project feels important already, and production hasn't even started. This is especially important for DuVernay, a woman of color who has made a name for herself amongst a sea of white male directors. Like A Wrinkle In Time's protagonist, Meg Murry, DuVernay isn't confined by what's expected of her, which is why this pairing might be incredibly influential for what's to come regarding women in Hollywood. In fact, it could change the game forever. Following her 2014 film, Selma, DuVernay has been in high demand. She's been courted for various pictures, including Marvel's Black Panther — which she has since decided not to be part of — and a sci-fi thrilled called Intelligent Life. But it's this project in particular that should really be capturing our attention. A Wrinkle In Time was written by Madeleine L'Engle and follows the story of Meg, a young girl whose father goes missing. As she, her brother, and two others search the universe for her father, they run into a cast of interesting and diverse characters. But it's Meg who proves, time and time again, to be the most diverse and complex of all, and it's L'Engle's handling of Meg that, to this day, still feels whole and true. It's easy to see why A Wrinkle in Time is regarded as a feminist novel, and it's easy to see why an upcoming adaptation of the book (written by a woman, and directed by a woman of color) could hold so much weight. Especially when you look at the scope of sci-fi/fantasy YA adapted films out there. The Hunger Games movies, for instance, were all directed by males (Gary Ross, and then Francis Lawrence). Filmmakers Neil Burger and Robert Schwentke are behind the Divergent series. Even all of the Harry Potter films had male directors. 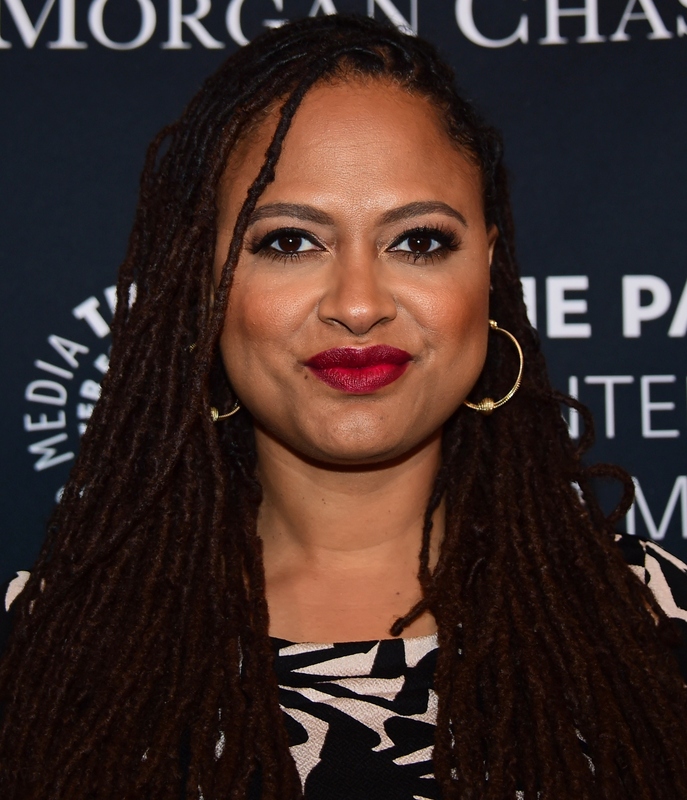 DuVernay, like Meg Murry, is a beacon of hope for girls and women who fall outside of the stereotypical norm. Girls who can perform complex mathematical equations in their head and are intellectually curious about science, or women who prove that it's OK to be different in an industry that begs you to conform. DuVernay told Makers in 2014, "I want to be defined as a black woman filmmaker, because that's the lens through which I am working. That is my gaze. I’m proud of it. I don't feel like it's any less or limiting. I'm a black woman filmmaker and my films are just as valid as the white man filmmaker and whoever else." There's no lens that would more clearly tell the story of A Wrinkle in Time than DuVernay's. As a woman who's changing the way Hollywood tells stories, I'll be waiting to see how this one changes everything.